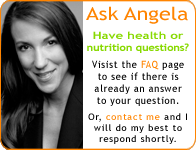 You are currently browsing the Nutrition Basics blog archives for the Current Affairs category. News headlines over the past two days have read: women who are postmenopausal should not take vitamin D and calcium for bone health – these supplements do not prevent fractures. Did the IOM get this right?